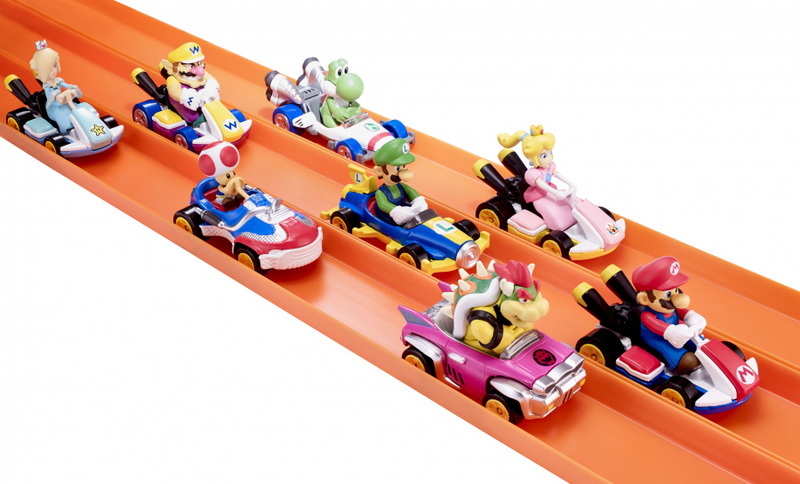 We might have seen Super Mario themed Hot Wheels racers in the past, but Mattel’s latest collaboration with Nintendo takes it to the next level. According to Comicbook.com, the toy manufacturer is releasing a new line of Hot Wheels cars based on Nintendo’s long-running racer, Mario Kart. The series will feature eight characters in total, with each one sporting their own full-functioning custom vehicle. Unfortunately, though, the line-up won’t race into stores until next June. Anyone lucky enough to be heading to San Diego’s Comic-Con this weekend will be able to see the vehicles in the flesh at the Nintendo booth and the Mattel booth. When these karts eventually do arrive instore, each one will cost you $5.00. 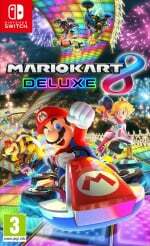 This latest Mario Kart news follows the recent announcement that more content was on the way to Mario Kart 8 Deluxe. Are you a collector of Hot Wheels? Would you be interested in this upcoming Mario Kart series? Tell us in the comments. Those look pretty cool! I want the Bowser one. I wish I had gotten the first line. They were cool. Unless they're somehow available still? cool to see Mario Kart getting some Toys. although, not really surprising it's Mario Kart after all. Why on earth is Wario not driving the pink pimp-mobile? It even resembles his car from Wario Land 4. King Boo or riot! These things will be crazy collectible. Also, I wish they wouldn't have hinted at MK8D dlc. Because I have been impatiently waiting for info on that. 2 new cups and a few new characters would be delightful. NINTENDO LIFE says: "This latest Mario Kart news follows the recent announcement that more content was on the way to Mario Kart 8 Deluxe"
ANSWER: I am sure they didn't mean Mattel Toy Cars. I want all of them! These will be the first Hot Wheels I have bought in more than a decade but I really want these! Can you pre-order Hot Wheels? But does Luigi come with Death Stare Action? well, Hasbro launched Mario Kart Monopoly, although it was a few months ago; now Mattel will launch Mario Kart x Hot Wheels, well, they really look very good!! Very good way to give more marketing to Mario Kart, now we must wait if Nintendo announces "updates" for Mario Kart 8 as it has been "mentioning"
I've seen several collections of these Mario Kart little toy cars and there has only been one time Koopa Troopa was included: Mario Kart 7 collection. Why? I'll go to Toys R Us....Oh, Wait, the lazy generation killed them. @DarthNocturnal In the UK, poundland has all of them. I bought the whole series. Weeeeell looks like I'm getting all of these. I’m a fully grown man. Must. Not. Buy. These. Forza Horizon 3 Hot Wheels coming to Switch? Toad in a shoe. Yep. Time to get.